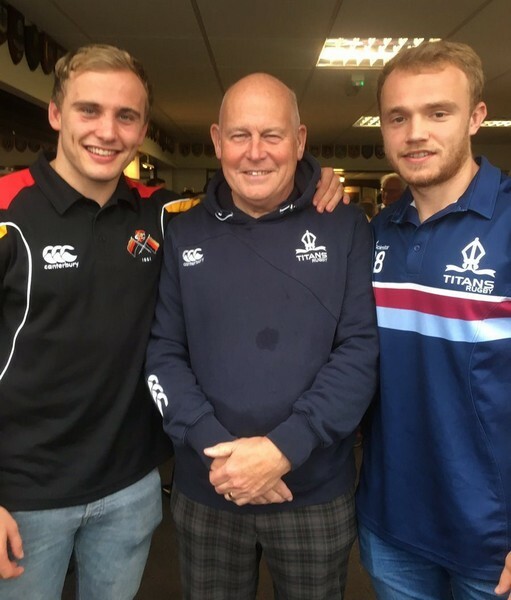 The Strongbow UK Third Half Chairman's Choice winners at the Titans v Richmond game were Will Thomas for the Titans and Luc Jones for Richmond. Each player received a case of Strongbow Cider for their performance. The players received their prize from Titans supporter David Mitchell who was celebrating his birthday on Saturday.